Steve, Dean, and Chris fish lobster on the boat Kaplie'L in the background. Kaplie'L is Mi'kmaq for Gabriel, like the angel. They are all Mi'kmaq or Micmac, native Nova Scotians. Jo Ann is a Lobsterwoman. 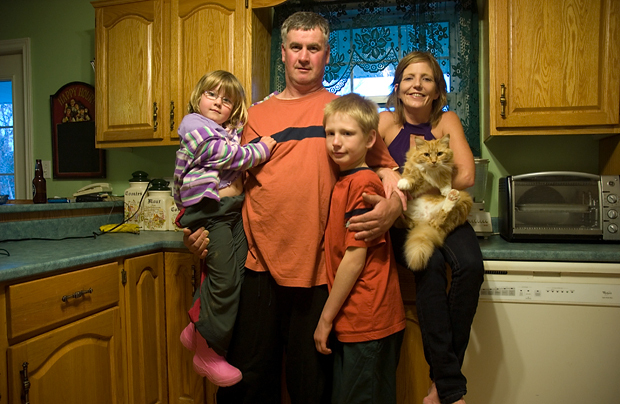 She is originally from Liverpool, Cape Breton. 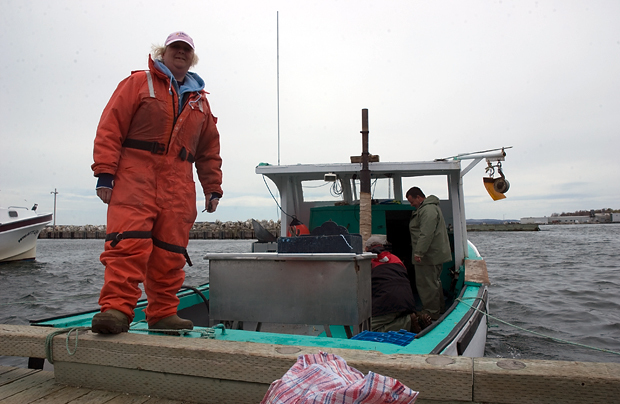 She fishes out of Ballast Ground Wharf in North Sydney, Cape Breton. Johnny, the skipper of the Rodderick Rose kisses a codfish, and so do I. Cod often end up in the lobster traps. It might seem like a strange seagoing tradition or superstition, but I believe it is a sign of reverence to the giving sea and the sacred codfish. 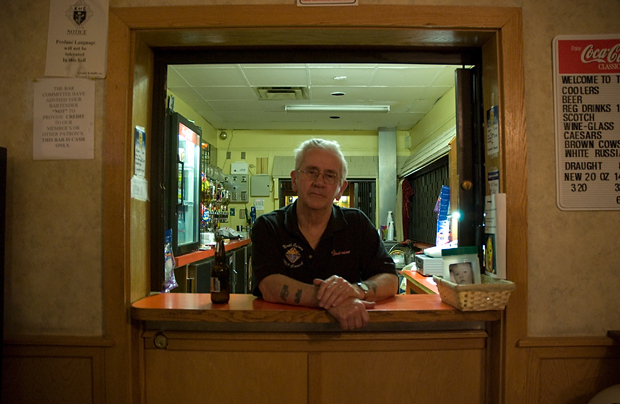 Don, a former bus driver, moved to North Sydney a decade ago. 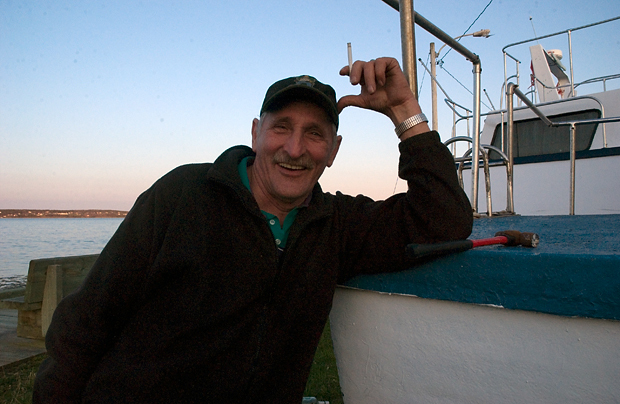 He has been working to make his boat, which is drydocked at the Ballast Ground Wharf, seaworthy. He plans to be in the water by the end of lobster season. 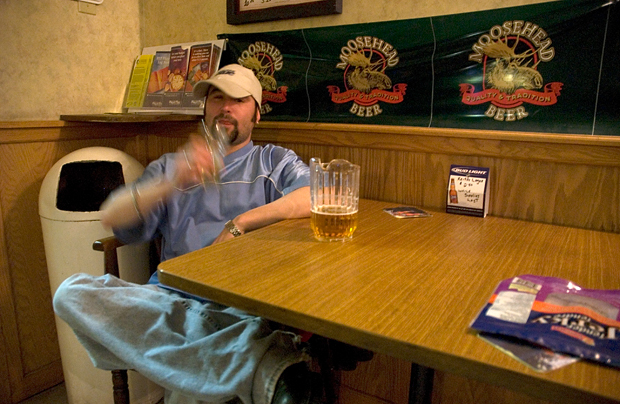 Erin, the barmaid at Dooly's, is used to settling down patrons. She sees many Newfoundland truckers waiting for the ferry, students from the off-shore oil rig school, and some other rowdy customers. 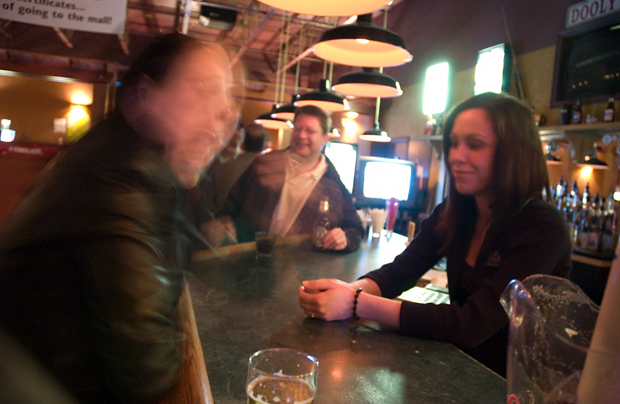 Some patrons of Dooly's catch a cab at the end of the night. 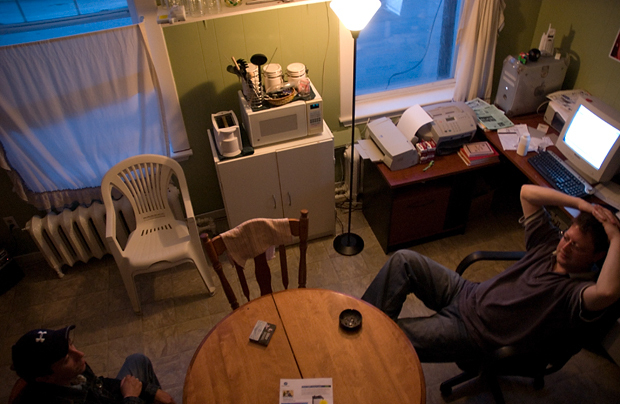 Derek and Lorne, North Sydney publishing entrepreneurs, discuss future plans at the table. 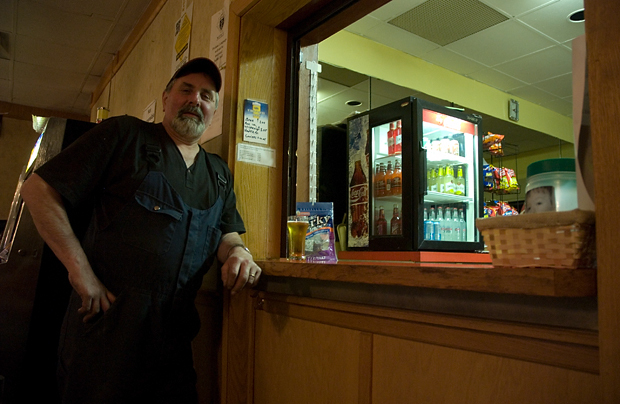 Larry is a former Royal Canadian Navy boxer, a notably-published photographer, and the bartender at the K of C.
Jimmy is of Sydney Mines, he stops in for one at the end of a long shift on the Newfoundland ferry. Louis and Mr. Buttons again. 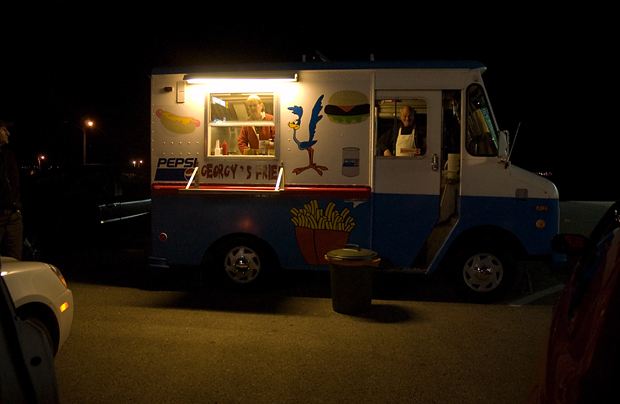 Louis, I heard, ran a community center and among other things is a writer. I talked to Andrew, in the foreground, several times on the sidewalk in North Sydney. 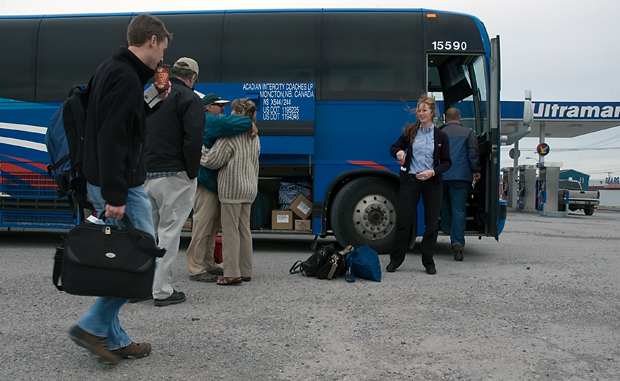 He was in town for a maritime school and is headed back to Halifax, Nova Scotia on the bus. 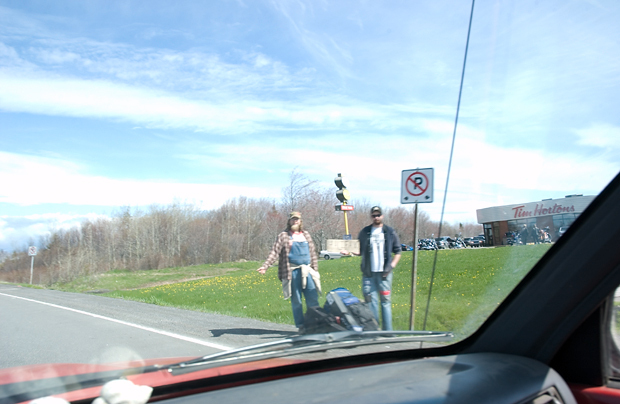 An alternative to the bus; hitching a ride to Halifax, Nova Scotia near the Sydney Mines, Cape Breton Tim Hortons. The MacMullins of North Sydney. I love these people.